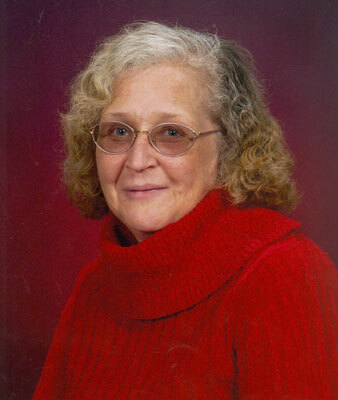 JANICE CHARLENE WOLFE CONRAD YOUNGSTOWN – Funeral services will be held on Saturday at 12:30 p.m. at the Kelley-Robb-Cummins Funeral Home, with the Rev. Donna Rezek officiating for Janice Charlene Wolfe Conrad, 64, who died Wednesday morning, March 29, 2017, at Park Vista. She was born June 21, 1952, in Kittanning, Pa., a daughter of Murray and Barbetta Shaffer Wolfe, and was a lifelong area resident. Mrs. Conrad, a homemaker, was a cook at Bell Wick Bowl for at least 10 years. She was a member of the Covenant Life Fellowship Church, formerly the First Assembly of God Church in Hubbard, where she was a member of the Missionettes, the Women’s Ministries and was a former Sunday school teacher. Janice enjoyed camping, traveling to Niagara Falls, picnics, puzzle books, crocheting, watching NASCAR on Sunday afternoons with her brother-in-law, Ray, and was one of Elvis’ biggest fans. She leaves her husband, George C. Conrad Jr., whom she married Aug. 7, 1969; a son, George C. Conrad III of New Springfield; two daughters, Tina (Bill) Davis of Youngstown and Tabatha (Sam) Dickson of Hubbard; a brother, Daryl M. (Diane) Wolfe of Mineral Ridge; three sisters, Judi D. Edwards of Homestead, Fla., Irene L. (Bob) Kostecky of Toledo and Denese J. (Dave) Jordan of Austintown; a brother-in-law, Ray Edwards of Austintown; six grandsons, Christopher Demes, Steven Demes II, Samuel Dickson, Jonathan Dickson, George Conrad IV and Michael Conrad; three granddaughters, Vivian Conrad, Emily Conrad and Myranda Dickson; and many nieces and nephews. She was preceded in death by her parents and a brother, Gary L. Wolfe. Family and friends may call today, March 31, 2017, from 4 to 7 p.m. at the Kelley-Robb-Cummins Funeral Home and also one hour prior to the funeral services on Saturday, April 1, 2017, from 11:30 a.m. to 12:30 p.m. at the Kelley-Robb-Cummins Funeral Home. The family wishes to extend a special thank you to her friends and the staff at Park Vista for their wonderful care. Interment will be at Green Haven Memorial Gardens. Visit www.krcummins.com to view this obituary and to send condolences to the family. Please share your memories of Janice.